The town's name probably derives from the Latin name of a person Iccius. 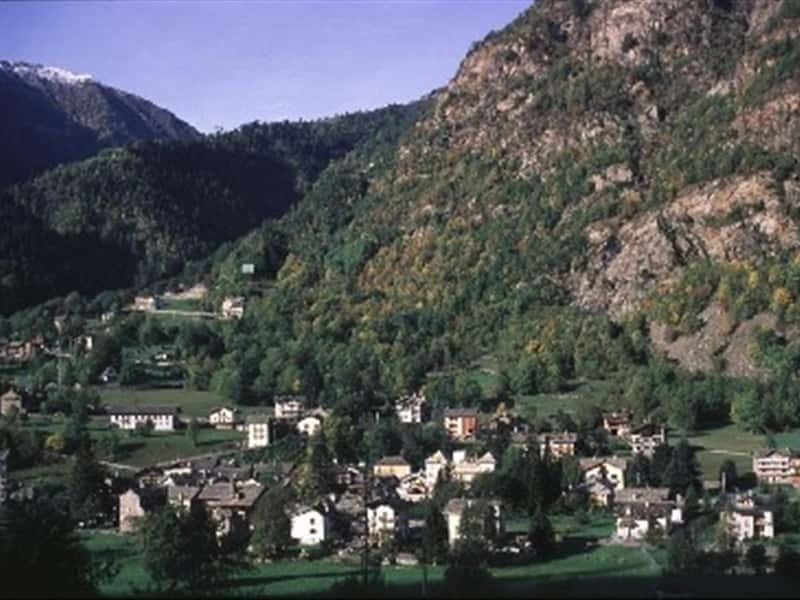 It is a small town in the province of Aosta, situated on the border with Piedmont, in the middle of the Valle del Lys, at 953 meters above sea level, and composed of a number of districts. The town is crossed by the river Lys, and belongs to the Walser community if the high Lys Valley, a population of German origin, that immigrated here in the XI century from the upper Rhone valley through the mountain passes of the Mount Moro and Mount Teodulo close to Monte Rosa. In Summer it offers trekking facilities, while in Winter it is possible to take advantage of its proximity to Gressoney and the Monterosa Sky tracks. There are no artifacts or documents that prove the existence of Issime before the XII century, the town, in fact, is mentioned for the first time in a document dated 1184. In the Middle Ages it was a feud of the Vallaise Family, who had obtained the rule by proclaim of the Emperor Frederick II. In this context the Walser community establishlished here. The town of Issime obtained, from the Vallaise, great privileges in the XIII century and became the capital of the area and the seat of the court. Until the mid XVIII century the town was divided into three sparate communities, due to the geographical location and the high number of inhabitants, each with its own mayor and council: la Plaine, la Montagne and Tiers Dessus. The Parish Church of San Giacomo is the reconstruction of an earlier building, whose presence was documented as early as the XIV century and of which traces remain in the left lateral wall, in a pointed arch which formed part of the ancient Romanesque bell tower and in the baptismal font. The façade is embellished with frescoes by Francesco Biondi of Geneva, with scenes of the Last Judgment, dated 1700. The decorations are completed by stone engraved door frames and the central wooden carved portal, which date to the XVII century. Opposite the church, bordering the square, 15 niches depicting the mysteries of the Rosary made in 1755 and frescoed by Antonio Facio of Valprato. The church has a rectangular plan and three naves divided by stone engraved columns, the interior is adorned with a cornice of the XVII century. The altar, built in 1700 by brothers John and Joseph Gilardi of Compertogno, is one of the most popular Baroque monuments in the region. Made of fir and pine, it is finely carved and enriched by 182 statues of that period and of the same wood, the beam of the triumphal arch at the entrance of the choir. The altar of the Rosary houses a statue of the XV century, depicting the Madonna and Child, from the previous church; the altar of the Holy Family with elements of the XVII century and an XVI century altarpiece in the central altar of the XIX century, the altar of St. Anthony Abbot with a fine Baroque altar piece of the XVII century, the altars dedicated to the Sacred Heart and St. Grato in Neoclassical style, the altar entitled to Our Lady del Carmine in Baroque style of the XVIII and the pulpit that dates to 1710. The Bell Tower has a quadrangular base dating from the XII-XIII century erected in the second half of the XVI century and refurbished in the second half of the XVIII. The Parish Museum of Sacred Art, housed inside the church, features two statues of the XV century depicting St. Lucia and St. James, an art work of the early XVI century depicting Santa Barbara, a relic of the XVII century and various processional crosses, vestments and a missal of 1490. The chapel of St. Grato (1601) in Alpe Chroiz. The Chapel of Our Lady of the Snows, built in 1660 at more than 2000 meters of altitude in Alpe Muhnes. The Chapel of Our Lady of Loreto (1682) in Zenji. The Chapel of the Presentation of the Virgin (1653) in Tschentschiri. The Chapel of St. Nicholas (1645) in Biolley. The Chapel of St. Louis (1663) in Rickurt. The Chapel of St. Joseph (1656) in Preit. The Chapel of St. Valentine was rebuilt in 1898 in Proasch. The Chapel of the Visitation (1829) in Rickard. The Chapel-Oratory of St. Anthony of Padua (1724) in Z'Bennetsch. This town web page has been visited 15,423 times.